We are pleased to offer a variety of miniature torture devices for your home or office decor. 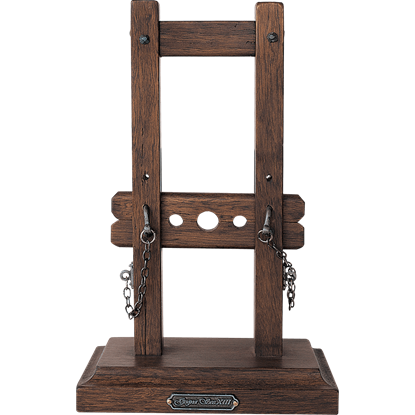 Perfect for adding that touch of the macabre, these historical torture device replicas come in a number of forms, including miniature gallows, miniature guillotines, and miniature pillories. Whether you want to start a unique collection or create a historical medieval display, you can appreciate the incredible detail worked into these wooden models. They feature ladders, ropes, chains, and other elements that ensure stunning realism. Take a moment to browse our selection of torture device decorations, and come back regularly to see our latest additions! 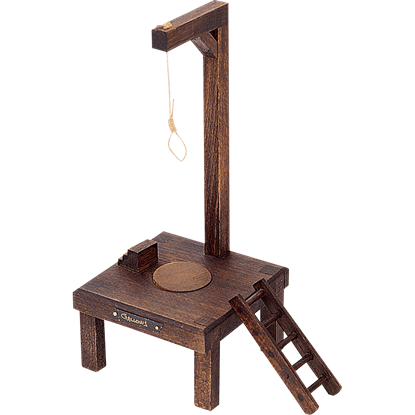 Authentically emulating the design of the capital punishment device known as the gallows, the Miniature Gallows is crafted from wood and employs the L-shaped design of a single vertical support attached to a horizontal beam. Often remembered for its use during the French Revolution, the guillotine is a device built to simplify capital punishment. 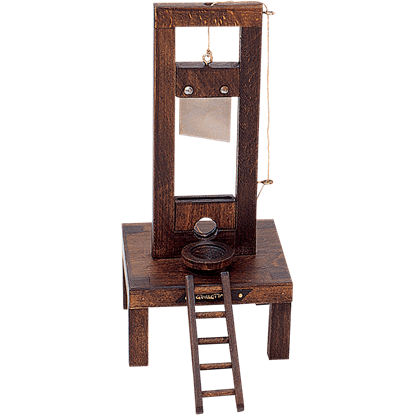 The Miniature Guillotine is a replica of this tool, displaying the ingenuity and terror of its design. Modeled after a device used to punish criminals for centuries throughout Europe, the Miniature Pillory is a spectacular decoration for displaying a unique aspect of life during the Middle Ages and the Age of Enlightenment. Suiting up with gear fromDark Knight Armoury allowed me to propose to the love of my life like this! It was truly an amazing day.